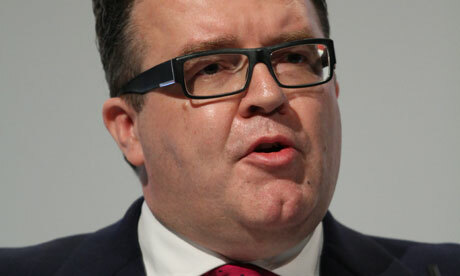 This is the “Lead not Leave” speech given by Labour deputy leader Tom Watson at Kings Cross in London today. Thank you friends. Welcome to Granary Square. There are few better places to make a speech about Britain’s future in the European Union. We’re just yards from the Eurostar, which put London at the heart of Europe, and that’s where I believe the UK belongs. So I am going to set out today why Britain should remain in the European Union and seize new opportunities to reform it. Because we can’t reform the EU unless we remain in the EU. And as my friend Gordon Brown said earlier in the week, the opportunities for our country, if we do vote to Remain are enormous. I will say more about that later. Firstly though, the Labour In campaign, which has been patiently, meticulously and admirably led by Alan Johnson has three tasks, as we enter the last week run-in to Thursday June 23. The Labour In team are concerned that far too many Labour supporters say they don’t know what our position is on the referendum. That’s why the entire Labour family came together this week to make it clear that we are united behind the Remain campaign. Yesterday, the Shadow Cabinet stood united behind Jeremy Corbyn along with our National Executive Committee and the leaders of the biggest Trade Unions in Britain to say ‘yes’ to the EU. I’ve been a member of the Labour party for more than 30 years and I can’t remember any issue that has united the Labour family like this one has. Labour is speaking with one voice when it comes to our membership of the European Union. Jeremy Corbyn and Tony Blair; John McDonnell and Gordon Brown; Len McCluskey and Peter Mandelson. They all agree the UK is better off if we remain in the EU, so that we can reform the EU. So to every Labour voter and Labour supporter, I say this: Be in no doubt that Labour’s view is Britain’s families are better off in the EU. Labour In’s second goal is that there are too many Labour supporters who tell us – and I’ve spoken to many of them – that they are voting Leave to punish David Cameron. They see a Leave vote as a way to reject David Cameron and George Osborne’s misguided policies on austerity. They want to give David Cameron a bloody nose. And I can understand that. But my message to them is a simple one: please don’t vote Leave to spite David Cameron and end up blighting the country instead. Because the consequences of leaving the EU are arguably even worse than the consequences of Tory rule. A Tory Government can be kicked out at a General Election. And the damage the Tories do can be repaired by Labour. But if we leave the EU we leave for good – the door will be shut and we will never be allowed back in. The jobs and livelihoods that depend on our membership of the EU, the worker’s rights it guarantees and the opportunities it represents will be lost forever. And we will still be living with the consequences long after the thrill of seeing David Cameron defeated has worn off. And there is a third concern from Labour In. My worry is that the Leave campaign have convinced some people that voting leave will end immigration. Labour is determined to fight the Leave campaign’s bogus claim that all the problems of immigration can be solved by leaving the EU. It won’t. And nor will it protect British workers from a Brexit Tory Government. It’s hard to find a polite way to respond to the Tories who are concerned that Labour politicians are talking about the future European reforms we want to see during this campaign, but I’ll do my best. It was the Tory governments of the 1980s and 90s that deregulated our labour market. Those reforms paved the way for zero hours contracts to flourish. The share of wealth going to workers fell, and went to higher profits instead. That’s why Philip Green was in the House of Commons today. Temporary contracts. Zero-hours contracts and bogus self-employment have blossomed, while trade unions that protected workers have had their hands tied. And when I look at other waves of migration, those West Indian workers in the 1950s and 1960s, or South Asian people in the 1970s and 1980s there was little about migrants driving down wages because we then had strong employment rights and strong trade union rights. Now we have a deregulated labour market and that allows unscrupulous employers to undercut pay and exploit migrant workers. And unscrupulous businesses can undercut good businesses by pursuing a race to the bottom. It isn’t migrants to blame for lower wages, this has been going on well before Polish plumbers and Spanish care workers came here. But there is a solution. Actually, by working with the European Union past Labour governments brought in the agency workers directive, the working time directive, and a whole host of social legislation that protected British workers and provided a level playing field of rights across the whole of Europe. Jeremy, John McDonnell, the whole of the shadow cabinet believe there is more to do. The Tory Government has failed to stop employers advertising UK jobs only abroad. And there is a loophole in the Posting of Workers Directive that allows employers to import workers from another country at lower rates of pay. That’s undercutting British workers and could be stopped. We are pushing the Government to work in Europe to close that loophole. But we must listen to what voters are telling us on the doorsteps. In my view we must go further. There should be a root and branch review of all directives, to ensure UK workers are not undercut and migrant workers are not exploited. And let me also talk directly to those workers who are concerned about job security and their weekly wage: don’t let the hard right Tory ideologues who are pulling the strings of the leave campaign fool you. They’re not interested in you or your family. To them you are a commodity, a mere unit of Labour. They have no intention of protecting you, investing in you, or helping you. They just want your vote and they’ll tell you anything you want to hear before next Thursday. So these are our three tasks up until a week tomorrow: Share our Remain message with all our supporters, convince them not to use their vote to punish David Cameron and explain why voters are being misled by the leave campaign on immigration. But today I really want to talk about what a future EU could look like if our people vote to Remain on Thursday 23 June. Gordon Brown outlined five opportunities for reforming the EU if we continue to lead the EU and I’d like to share them with you again today. These objectives are realistic. But we have to be around the negotiating table to be able to set the agenda for reform. Reform Number One. Action against tax havens. We can take collective action on tax havens with our European partners to claw back the one trillion euros that are held offshore. Reform Number Two. Action to improve living standards. A UK Presidency in 2017 could also dramatically reduce energy prices and household bills by hastening the introduction of an EU-wide energy grid that will allow consumers and businesses to benefit from economies of scale across the continent. Reform Number Three. Action to protect workers’ rights. If we remain in the EU we can extend the worker’s rights that it already underpins – many of which were introduced by Labour governments – so that no member state permits employers to use insecure or exploitative contracts. That will prevent a race to the bottom and improve conditions at work. Reform Number Four. Action to ensure greater security. We can make Europe safer by taking coordinated action against terrorism and ensuring our intelligence services share information with their European counterparts. Because we know cross-border terrorism requires cross-border cooperation. Reform Number Five. Action to create jobs. Widening and deepening the European single market in energy, tourism, digital services and other industries will boost GDP by 4 percent if we stay in the EU, according to the Treasury. That means an extra 1.3m – jobs could be created by 2030. On top of those reforms, we can use our share of the European Union’s 315 billion Euro infrastructure fund – that’s 50 billion Euros – to spend on regeneration and rebuilding – money that could transform our steel and industrial communities. Money that is central to the new ideas of devolved power to the English regions. On the way here you will have seen the cranes at King’s Cross, helping to build a new skyline. I want to see more cranes on the horizon in London – and in the English regions, in Scotland and in Wales. Remaining in a reformed Europe is the best way to ensure that happens. We are also standing close to the Regent’s Canal, which links London to Birmingham, part of a network of connectivity that shaped the industrial revolution. Those railways and canals connected our great cities just as our merchant fleet connected our island to the world. Today our world is increasingly connected digitally and technology is driving huge economic and social change. The twin forces of automation and digitisation could reshape the UK as dramatically as the industrial revolution did, with consequences that are just as far-reaching. We can’t possibly predict exactly what they will be. But we can be certain that the centre of global power is tilting, from north to south, from west to east, from mineral to digital, and, fundamentally, from national to regional. The continent of Africa, once scarred by famine and war, is rising rapidly, with startling fast economic growth in some countries – with urbanization and a growing middle class. China is producing seven million university graduates a year. It is building or has built 272 airports. It has more high-speed rail track than the rest of the world combined. Our world is changing faster than our politics, institutions and imaginations can cope with. Across the globe, the response is the same – for countries to band together into regional and continental blocs: the African Union. The Union of South American Nations. The Arab League. NAFTA. If we want to tame and temper the power of global capital, to protect our jobs, give decent working conditions and promote peaceful trade, we must remain in a reformed EU. By joining forces with our neighbours our strong and proud nation becomes a more powerful force than any nation can ever be alone. And by partnering with our closest neighbours, we consign conflict to history. Seventy years ago, much of this square was destroyed by German bombs. The Luftwaffe tried night after night to obliterate Kings Cross and St Pancras. Hundreds of bombs fell onto these wharfs and warehouses. Many Londoners died. Today, these buildings are home to workers, tourists and students from across Europe and the world. That’s not a coincidence. I’ve heard people say we don’t need the EU to keep us safe anymore, because the threat of European war is behind us. That’s like saying we no longer need to generate power, because there’s electricity in every home. It’s the cooperation and interdependence of the EU that has – finally – brought peace to our time. And today is exactly two weeks short of a century since the start of the Battle of the Somme – in which a million European men were wounded or killed in the mud, for six miles of trench. That is our common history in this continent. Now is not the time to forget and it’s why one of the founders of the European Coal and Steel Community, Robert Schuman, saw greater economic cooperation between France, Germany and the nations of Europe as “the fulfilment of the same recurrent dream that for ten centuries has revisited the peoples of Europe: creating between them an organisation putting an end to war and guaranteeing an eternal peace”. Winston Churchill, in that famous speech in 1947, amidst the wreckage and smoke of a war-torn continent, said the goal should be: “to re-create the European Family…and provide it with a structure under which it can dwell in peace, in safety and in freedom”. This was the goal of the post-war generation. And their noble plan for peace in Europe has been their enduring legacy. Peace in Europe. Jobs. Workers’ rights. Security. The EU is the gearbox of civility that has kept the peace in Europe for over half a century. This morning at a conference here in Kings Cross we heard some brilliant contributions on the different ways we benefit from the EU. We’ve heard about the jobs that depend on our continued membership. We’ve heard about the range of individual rights protected by the EU: protection from discrimination; equal pay; maternity, paternity and parental leave; protection for part-time, fixed term and agency workers; paid leave and working time; health and safety: rights for all people, fought for by the TUC and British Unions working with their counterparts in the EU. Don’t let the Tory hard right be the guardians of our hard-won rights at work: don’t let them take control – and toss your rights on a bonfire in the name of cutting red tape. We’ve been reminded about how pragmatic sovereignty works: how successive governments have chosen to pool aspects of sovereign power to achieve national objectives. To protect our country in an age of deepening globalization: this objective cannot be met in any other way. This is not a time for isolationism. And that’s why all our allies want us to Remain, and all our adversaries want to leave. When I think of the peace dividend that the EU has given us I can’t help but shudder at the sheer recklessness of leaving, not so much a leap in the dark as a leap backwards, trying to recreate a Europe of Nationalist competition rather than peaceful co-operation between nations. And as this referendum campaign has progressed, something interesting has happened. The positive arguments put forward in favour of remaining and reforming the EU have been tested, scrutinised and interrogated. And I think they have grown stronger. But the arguments put forward by those who want to ‘leave’ have been tested too, and they have started to fall apart. I know Michael Gove, who provides the Leave campaign with most of its intellectual clout, is appearing on BBC Question Time tonight. I hope he can be challenged on some of the extraordinary claims that the Leave campaign have made. The Leave campaign claim that “The EU costs us £350mn a week”. They’ve even got it painted on the side of their bus. Yet that figure doesn’t take account of the large rebate the UK receives from the EU. Which is why it has been described as “potentially misleading” by the UK Statistics Authority. Claim number two: Michael Gove said that, according to the Institute of Fiscal Studies, leaving the EU would free up an extra £8billion to spend on the NHS. In response to that the IFS said: “Leaving the EU would not, as Michael Gove claims we said, leave more money to spend on the NHS. Rather it would leave us spending less on public services, or taxing more, or borrowing more”. Claim Number three: is that leaving the EU will help our economy grow and create more jobs. But nine of out ten economists say that leaving would hurt our economy. The Governor of the Bank of England has said leaving could lead to a “technical recession”. The Treasury says it could lead to 800,000 job losses. Claim Number Four: Nigel Farage said it doesn’t matter if the economy is smaller. But we all know that if the economy shrinks living standards will fall and people will lose their jobs. A smaller economy might not matter to Mr Farage but it will certainly matter to those less wealthy than him. Claim Number Five: is that EU membership makes us less safe. Yet seven former police chiefs have said that leaving the European Union would put us at a disadvantage in tackling terrorism and organised crime. Because it allows us to share information quickly and easily with 27 other countries and make use of the European Arrest Warrant. So the six pillars on which the leave campaign is built rest on shaky foundations and its arguments are disingenuous and unconvincing. In fact, there is an economic case, a social case, a patriotic case, and a political case for us to remain in the EU. And there is also a Labour case. Co-operation. Peaceful co-existence. International solidarity. These are Labour values. They led great Labour leaders like Clem Attlee and Ernie Bevin to create NATO and the other post-war institutions. These values drive us still. Its 22 years since we said farewell, all too soon, to our friend and comrade, our lost leader, John Smith. I knew John. I worked for his Labour Party. He was a great European. He would have played a brilliant role in this referendum, and if he were here today, he would be inspiring us to work even harder. John Smith rebelled against a Labour whip only once. It was in 1971, and he and 68 other Labour MPs defied a three-line whip to support Britain’s membership of the EEC. John did so because he believed in the ideals of Europe, in strong institutions, in the common market. He thought it the most important issue he would ever face as a Labour MP. If you read the Hansard from that time, he showed great vision. John argued that for democracy to have primacy over technology, and over multinational companies with assets bigger than countries, it required institutions bigger than national governments. ‘Economic forces’ he argued ‘must be brought under popular control’. That was his argument then. It is our argument today. So as we step up our campaign into the last week, we will fight on the bread and butter issues of jobs, growth and rights at work. We will take our case to the country, street by street and estate by estate. To the Labour members on which our movement was built I say this: I know you are already working flat out. But on the 23 June, every single vote will have equal weight; wherever you live in the country, in Weybridge just as much as in Wednesbury, it counts just the same. So let’s keep on working until the final second of polling day. And to Labour supporters I say: Stay with us. And if you want to say ‘no’ to Nigel Farage, ‘no’ to Michael Gove and ‘no’ to Boris Johnson say yes to Europe. Say ‘yes’ to growth, ‘yes’ to worker’s rights and ‘yes’ to jobs. And vote Remain on Thursday June 23.